2017 marks the 55th anniversary of diplomatic ties between Laos and Vietnam. It's also the 40th anniversary of the signing of the Treaty on Friendship and Cooperation. 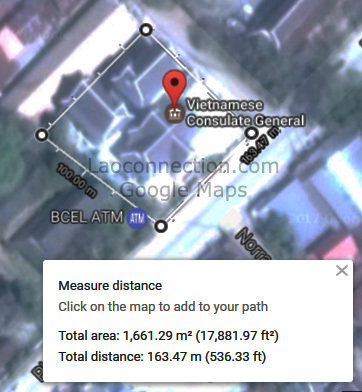 To commemorate the anniversary, let's take a look at the Vietnamese embassy and its consulates in Laos. 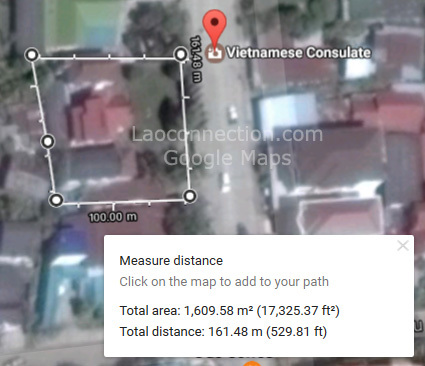 The Embassy of Vietnam in Vientiane is not the largest of foreign embassies in terms of the physical area it occupies, which is approximately 9,434.48m2 (101,551 ft2). Instead those titles go to the American, French and Russian embassies. And while it does not occupy the largest area, it should be noted that it has many buildings on the land that it does occupy that includes 4 large buildings, a court yard and tennis court. 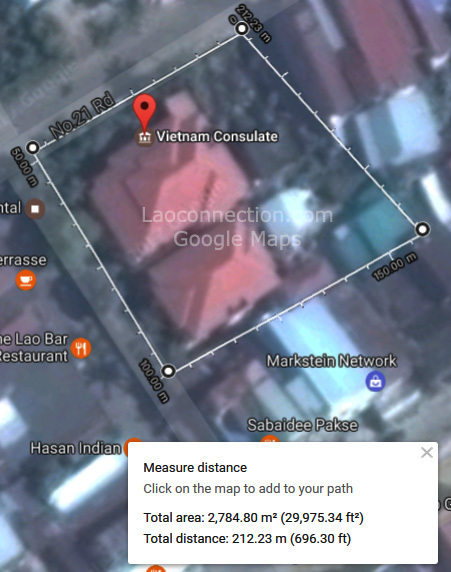 Furthermore, the importance of its location is that it is directly across the street from the Lao Ministry of Foreign Affairs. 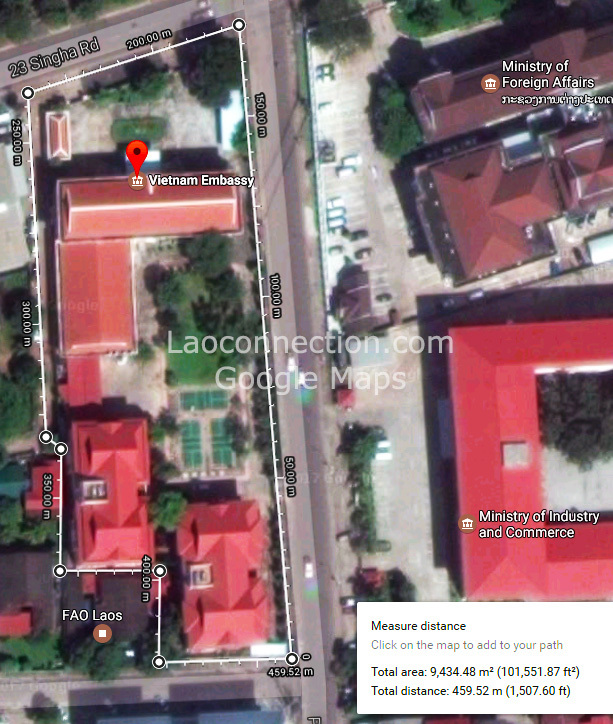 In addition to their embassy in Vientiane, there are also 3 consulates. They are located in Luangprabang (1,661.29m2), Pakse (2,784.80m2) and Savannakhet (1,609.58m2). Combining all those assets gives a total area of approximately 11,044.06m2. Further, this would indicate that the Vietnamese have the largest diplomatic presence throughout Laos in terms of the number of staff and buildings. The exact number of diplomatic staff at all these locations is not publicly known. However the figure is expected to be in the hundreds. This does not include any possible military presence (whether official or unofficial in other parts of Laos).